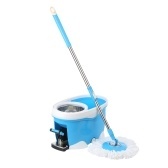 Только US$37.69 + быстрая бесплатная доставка. 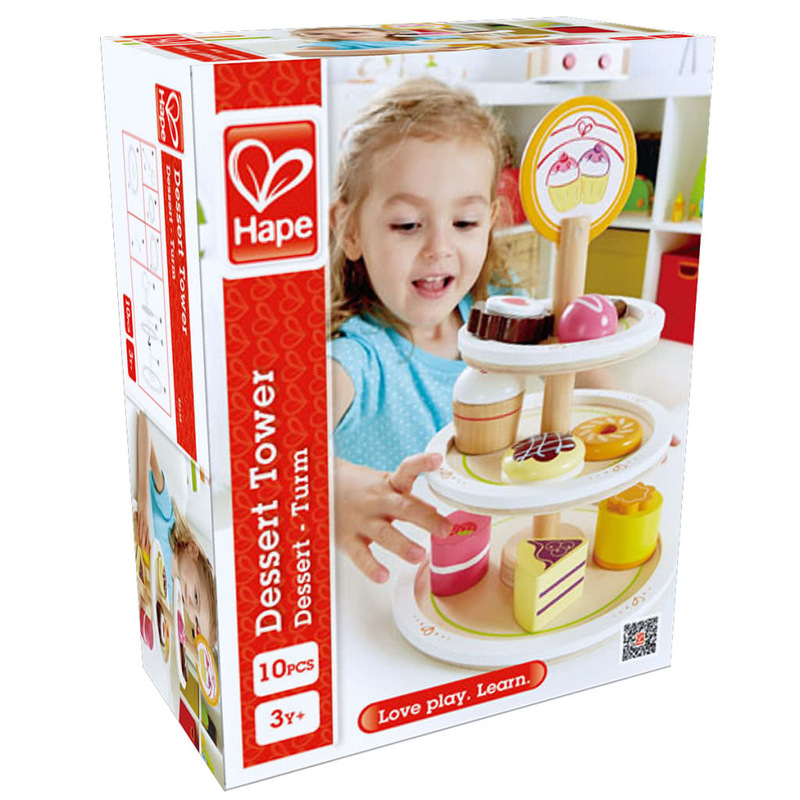 Купить Hape Dessert Tower E3135 по доступной цене в интернет магазине Tomtop с доставкой. 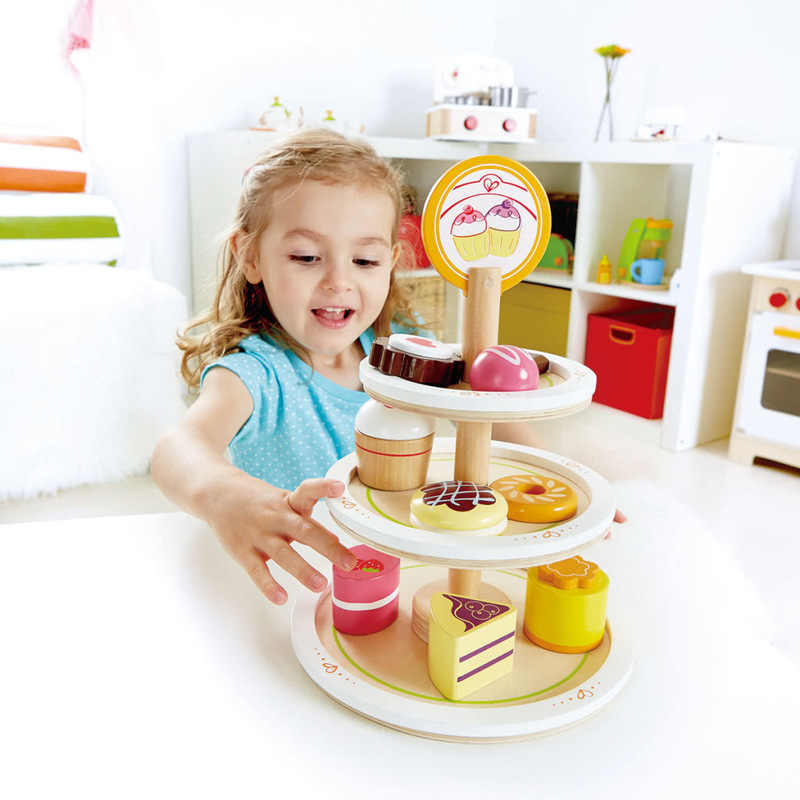 This high-quality 3-tier dessert tower E3135 from Hape will satisfy kids' sweet smooth as well as help develop their fine motor and social skills. 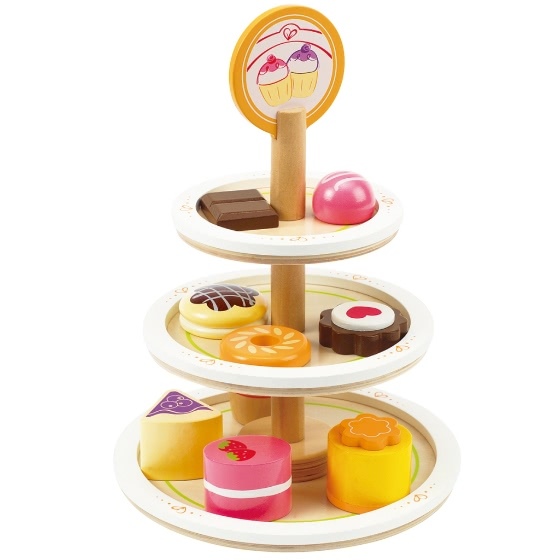 This high-quality 3-tier dessert tower E3135 from Hape will satisfy kids' sweet smooth as well as help develop their fine motor and social skills. Made of wood with a water-based paint and metal, this dessert tower is designed to meet the strictest of safety standards. Vivid colours make these cakes, chocolates and donuts come alive, which fuels the children's imaginative play, cultivating their communication, cooperation and collaboration skills and also encouraging trust and friendship. Kids can serve their favourite treats to friends or the whole family, or open a pastry shop.